So what do you do when you want a personalized pizza made with fresh, local ingredients in about two minutes or less? 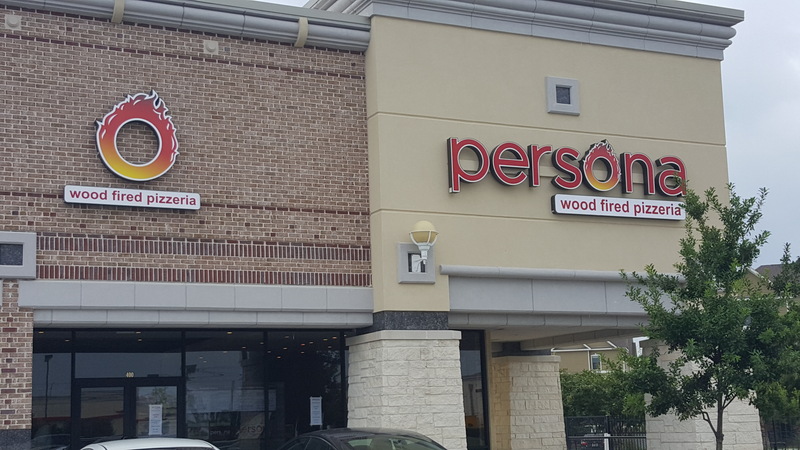 Well, we suggest you try Persona Wood Fired Pizza, which just opened its newest location in Humble on Thursday. 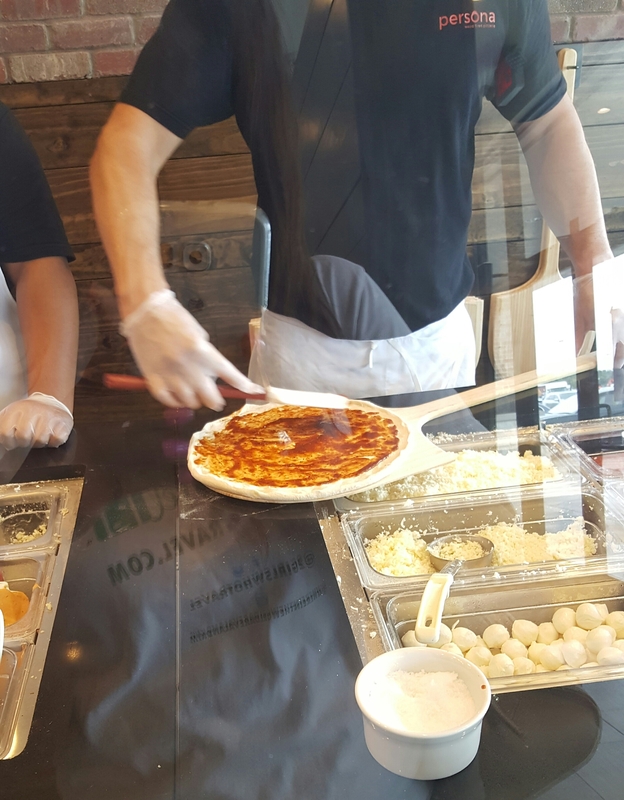 Persona Pizza has taken the personalized fast casual pizza concept and franchised it throughout the U.S. with locations in Santa Barbara and Santa Rosa, California; Columbia, South Carolina; Chicago; and now Humble. The restaurant boasts quality, fresh ingredients that are locally grown, award-winning made-from-scratch dressing, a healthier crust with no sugar or oil and a 90-second bake time. What’s not to love? Chef Glenn explained the 90-second bake time is due to many factors – they use an 800-degree oven, the finest flour you can get (00 flour) and no sugar or oil. Essentially, Persona is making Neapolitan pizzas. “It’s funny because they’ve been doing it this way for a hundred years in Italy. 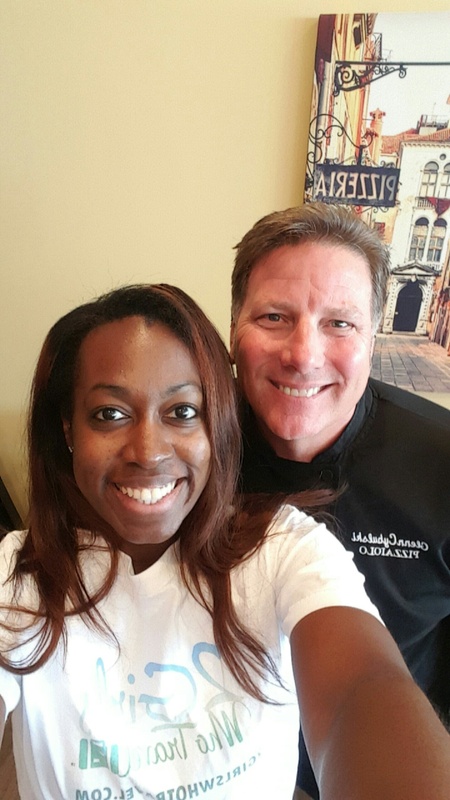 That’s where I learned how to cook,” said Chef Glenn, who’s been in the pizza business for more than 25 years. 2 Girls Who Travel love our pizza, so when we were invited to come try Persona two days prior to its opening, we were ecstatic. And it was worth the drive to the ‘burbs. *Side Note: Inner Loopers, keep calm. Chef Glenn said Persona’s next Houston location will be downtown at The Shops at Houston Center. Not the case at Persona. So what’s Persona’s bestseller? According to Chef Glenn, it’s the chicken chipotle pizza. So of course we had to try it. The verdict: Don’t be fooled by the name. We expected this one to be spicy. But it wasn’t spicy at all. It was flavorful, though. Fresh ingredients really go a long way. The dressing was tasty and the pico added an extra element of flavor. The dough is very light and doesn’t leave you as full as quickly as other pizza doughs – mainly because of the omission of sugar and oil. We recommend it! This is in fact not the chicken chipotle, but the BBQ chicken and bacon ranch – Val couldn’t resist! And she added tomatoes, artichokes and roasted garlic … superb!! We decided to ask Chef Glenn what his favorite pizza was and surprisingly, it’s good ole pepperoni. Can’t argue with that. We ordered the pepperoni pizza, too, but forgot to count the pepperoni! 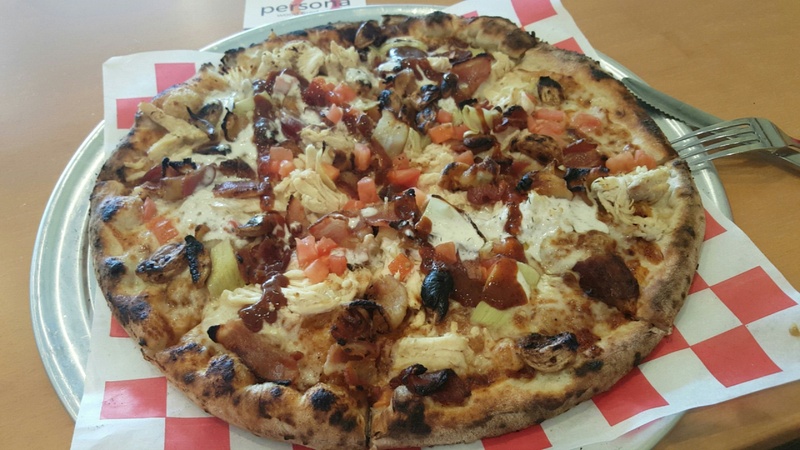 Persona Wood Fired Pizza is located at 9635 N. Sam Houston Pkwy E. #400, Humble, TX 77396.